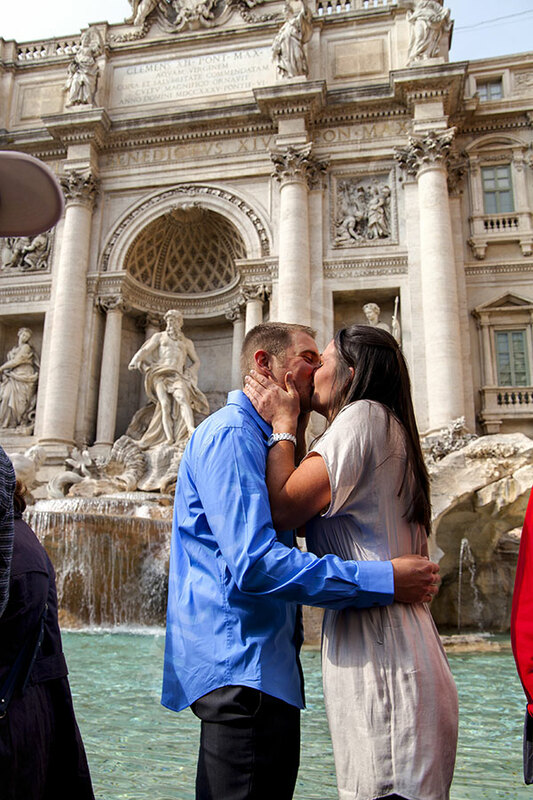 The meeting point was at the entrance of the Benetton store in Piazza Fontana di Trevi in Rome Italy. We never met before but we had a plan exchanged via e-mail. 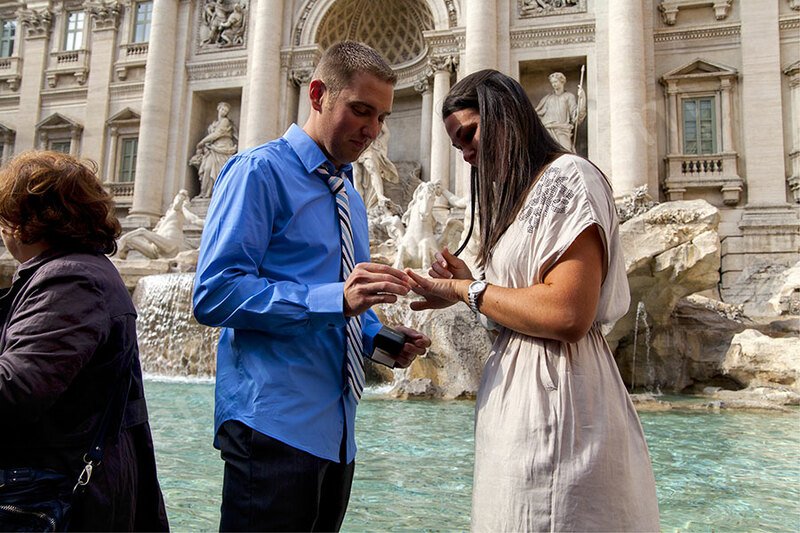 When I saw Mark we found a silent understanding and headed down to the water fountain where he would propose to Ashlyn. It was not hard for me to pretend to be one of many tourist photographers with a camera. So I led them to a good spot with nice lighting and set up. Mark waited for some elbow room and when he was ready the proposal began and I started to photograph. Ashlyn was so surprised! The rest was history. 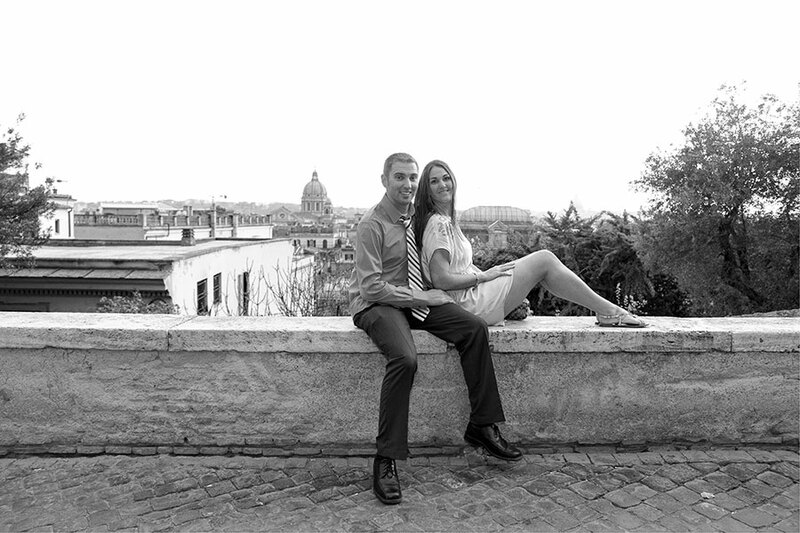 We walked down to Piazza di Spagna finding some nice picture opportunities. 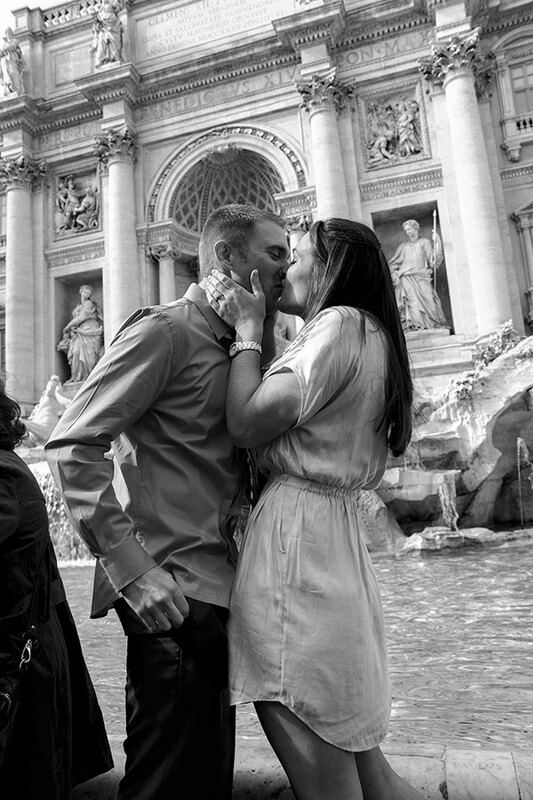 The off to Parco del Pincio to continue wit some more engagement photos. Then a nice walk downhill to reach Piazza del Popolo where we would be able to find a taxi. Our lar stop was the Roman Coliseum in all its splendor. Thank you for allowing me to photograph this very special moment. I wish you all the best! 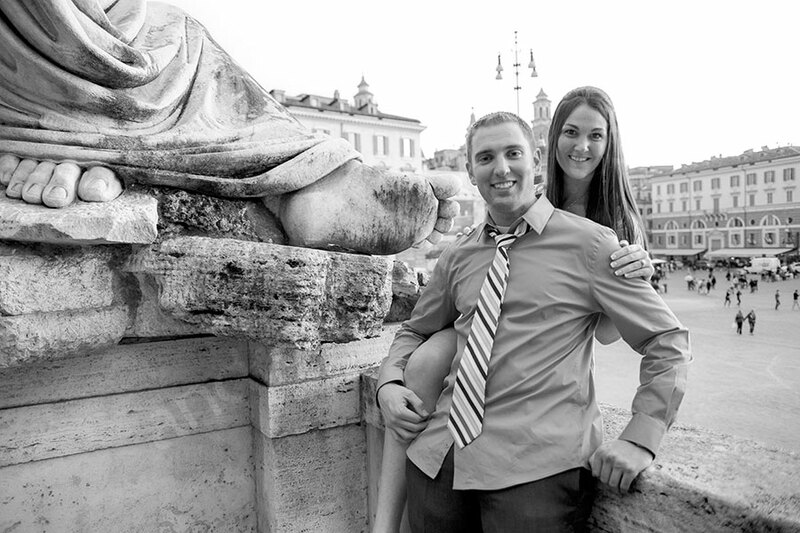 A romantic proposal photographed at Parco del Pincio with an engagement session. Marriage proposal followed by a unique e-style session in different areas of the city. 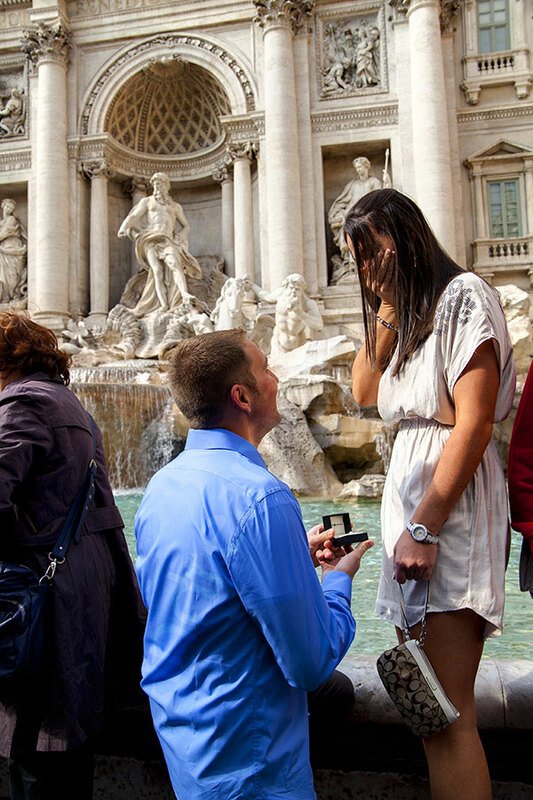 Joyful and photogenic proposal from Parco del Pincio down to the center of Rome. A wonderful surprise when he asked her the big question. Such joy and happiness with a great Yes! Followed by an interesting engagement style session around the city. OMG! These are gorgeous! What a perfect place for a proposal! Cudos to Mark for a job well done! Your engagement pictures are just beautiful. What a moment to capture! I am so happy for the two of you and look forward to hearing the plans for your wedding day. Love you both and again……CONGRATULATIONS AND BEST WISHES. What great pictures Ashlyn and Mark. Congrats on the start of a wonderful jouney of love. Thanks for sharing the pics. CONGRATULATIONS TO MARK AND ASHLYN! So beautiful! What a great idea and such wonderful photographs. Congratulations. A very special thank you to Andrea. You did an amazing job with these pictures! Mark and I couldn’t be happier and we’re so grateful that you were there to capture our special moment! You are a fantastic photographer! You both look fabulous and the pictures are amazing!!! Love y’all both! !